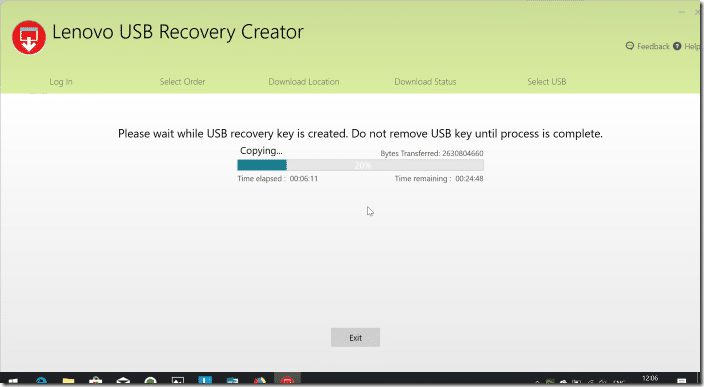 There is a built-in utility in Windows 10 to create a USB recovery drive. All users, including Lenovo PC users, can use the built-in tool to prepare the Windows 10 USB recovery drive. 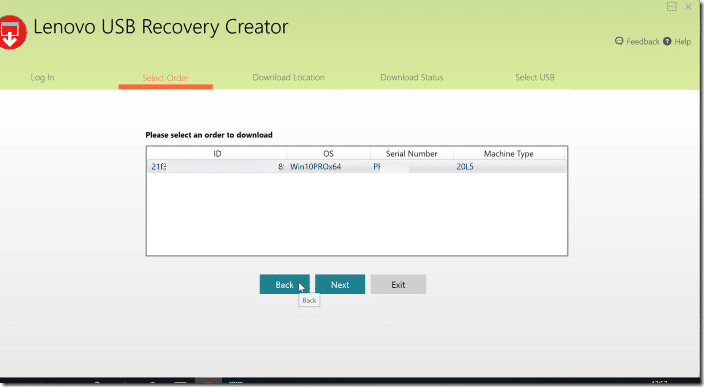 The problem with the built-in recovery utility is that it cannot create a recovery USB drive if there are no dedicated recovery files are found on your PC. Most new PCs have a dedicated drive containing recovery files, but many users choose to delete the recovery partition to free up disk space. If you are unable to create a recovery USB drive for your Lenovo Windows 10 PC for some reason, you can use the official Lenovo Recovery Drive Creator to create Lenovo Windows 10 USB recovery drive. 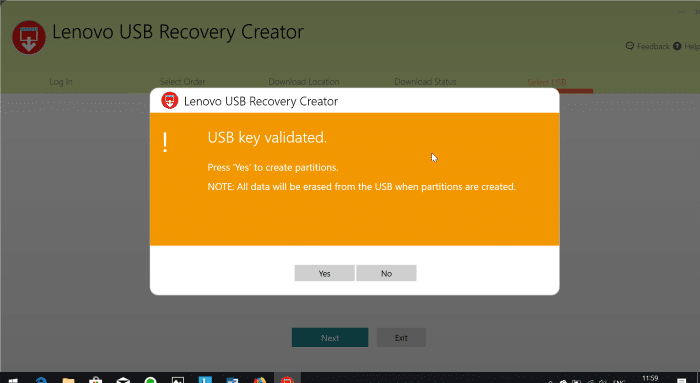 The Lenovo recovery drive that you are going to create will include Windows 10 installation files, necessary drivers for your Lenovo computer, and some Lenovo programs that your PC originally shipped with. 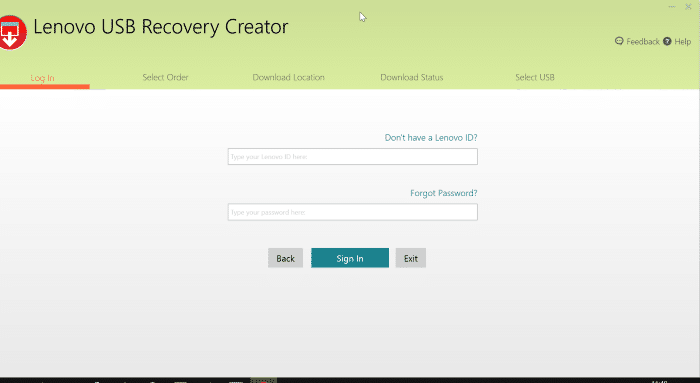 Step 1: Visit this Lenovo Recovery webpage. Type in the serial number of your Lenovo device for which you are creating the recovery USB. Step 2: On the next page, select your country/region, the Windows 10 operating system language, accept the license agreement check box, and then click the Next button. Step 3: On this page, you will be asked to sign in to Lenovo and type some information. After typing in the required information, click the Submit button to place the digital download order. 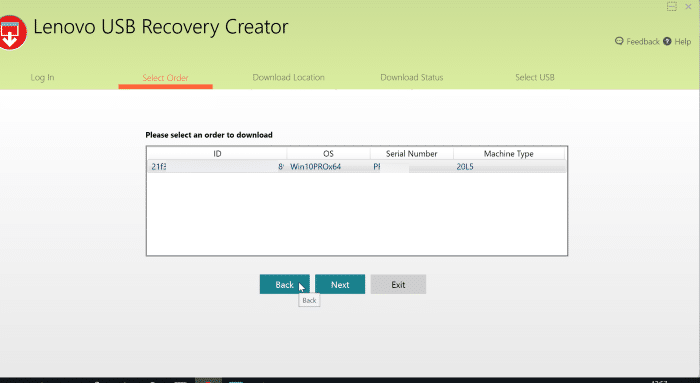 In an hour or two, your recovery files will be ready for download. Step 4: Connect a 16+GB USB drive to your PC and back up all data as the drive will be deleted. 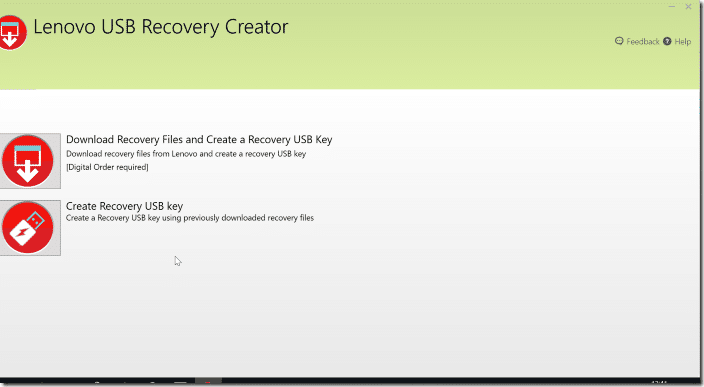 Step 5: Click here to download the Lenovo USB Recovery Creator. 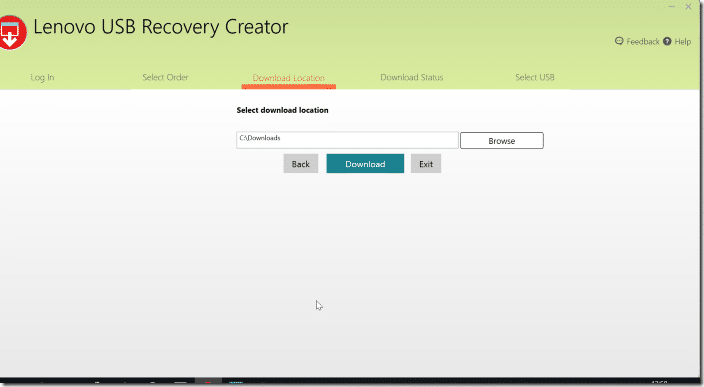 Run the downloaded software and click the Download Recovery Files and Create a Recovery USB Key option. Step 6: Sign in to your Lenovo account (that you used to place the digital download order) to see your digital download order. Select the order and then click the Next button. Step 7: You will now be asked to select a location to save the downloaded files from Lenovo servers. Browse to a location where you have at least 18 GB of free space and select the same. NOTE: If you wish to download the files to the default Downloads folder, we recommend you click the Browse button and manually select the Downloads folder to avoid issues while downloading. Also, make sure that the drive where you are going to download Windows 10 recovery files from Lenovo has at least 18GB of free space. 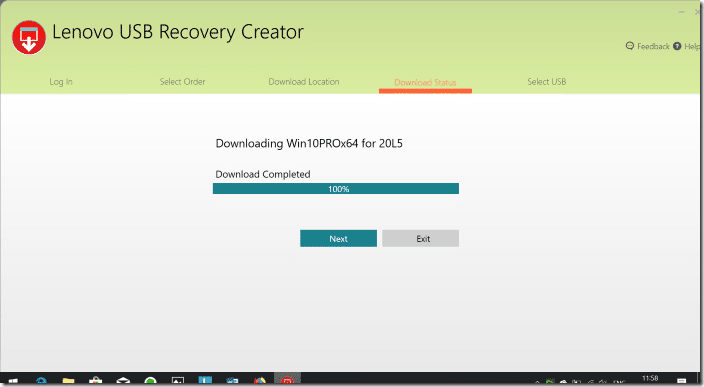 Click the Download button to begin downloading Windows 10 files. Depending on your internet connection speed and load on Lenovo servers, it might take a few minutes to hours to download Windows 10 files. Step 8: Once the download is completed, click on the Next button to proceed to the USB selection screen. 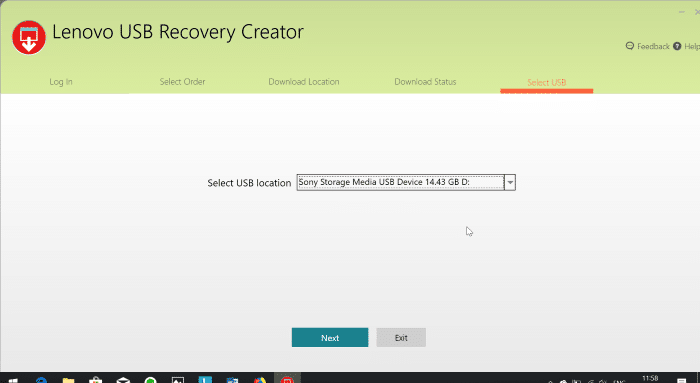 Step 9: Select the USB drive that you wish to prepare the Lenovo USB recovery drive and then click the Next button. You need a USB drive with at least 16GB of storage space. Step 10: When you get the following screen, click the Yes button to create partitions, copy downloaded files on to the USB drive, and prepare the USB recovery drive. This process might take 30 to 60 minutes. 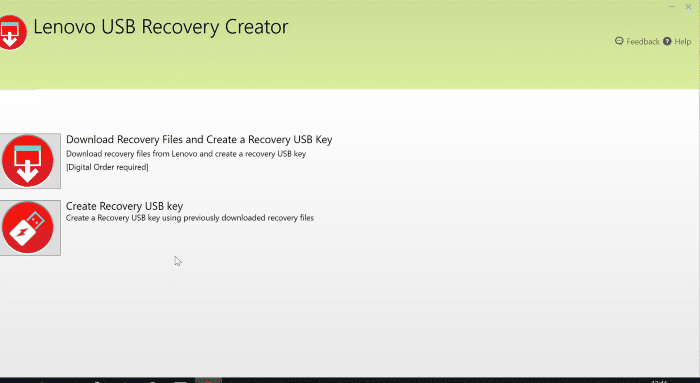 Step 11: Once the Lenovo USB recovery drive is ready, you will see “USB key created successfully” message. 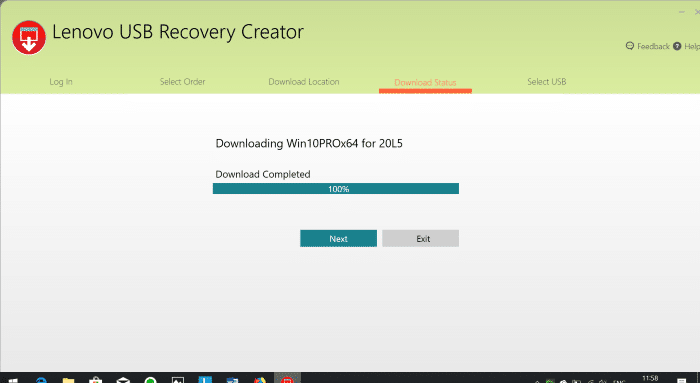 If you wish to delete the downloaded recovery files from your PC, click the Yes button. 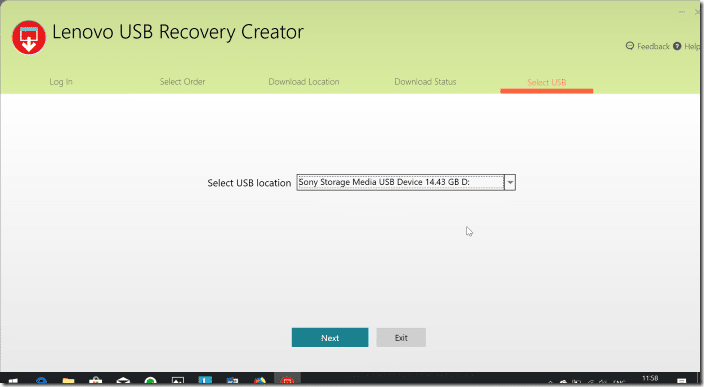 Note that you can create Lenovo USB recovery drive again using the downloaded files in case you format the USB drive or misplace it. If you have enough space on your PC, we suggest you keep the downloaded recovery files on your PC so that you can create Lenovo USB recovery drive when you need. If not, click No, exit button to close Lenovo USB Recovery Creator software.